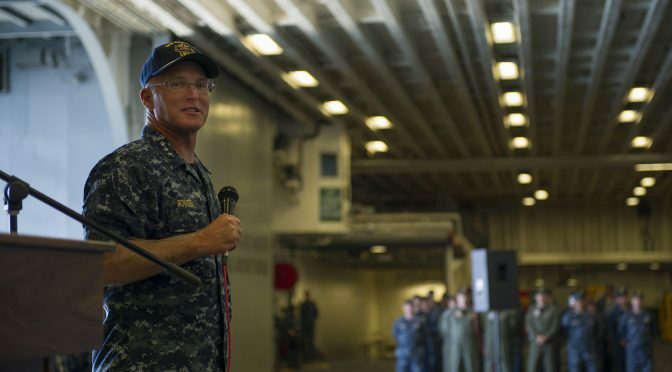 Vice Admiral Tom Rowden, Commander, Naval Surface Forces, spoke with CIMSEC about the future of surface warfare and how the surface fleet is supporting the Chief of Naval Operations’ Design for Maintaining Maritime Superiority. 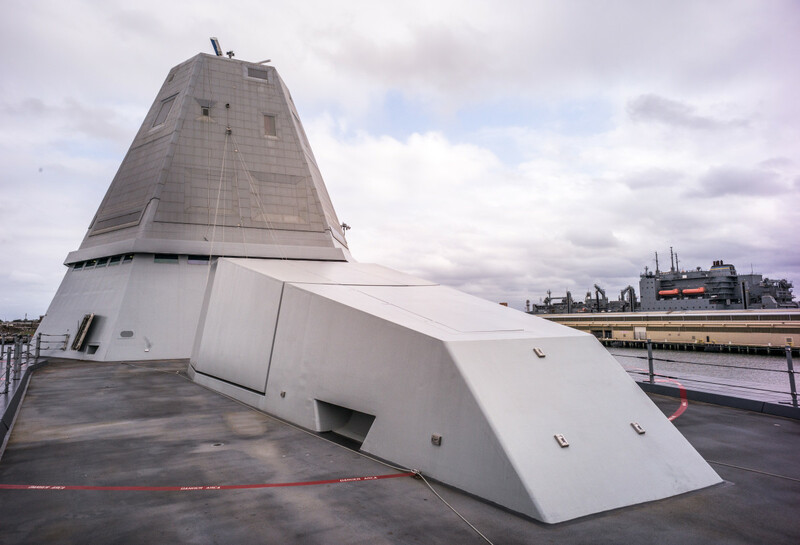 In particular, he discussed the ongoing development of the distributed lethality concept, how the surface warfare enterprise is evolving, and what the recently commissioned USS Zumwalt means for the future of the surface navy. This interview has been edited for length and clarity. You are leading an effort to turn the surface navy into a more distributed force. What efforts have to be synchronized across the surface warfare enterprise to foment this transformation? As we focus on distributed lethality I think the Distributed Lethality Task Force (DLTF) has done a phenomenal job of directing us in four areas. The first is tactics, and those tactics are focused on winning and sustaining sea control. The second is talent, and I think that is all about attracting and retaining our very best and raising the quality of performance across the force. The third is training. That’s really advanced tactical training and the development of this warrior ethos through a number of centers of excellence that we have in integrated air and missile defense, antisurface warfare, antisubmarine warfare, and antimine warfare. Finally, there’s tools, which entails offensive lethality across the board in the ships that we operate and defensive resiliency in those same ships. Tactics, talent, training, and tools, that’s really what we are focused on. This year, three destroyers deployed as a Pacific Surface Action Group as a part of the distributed lethality concept’s development. What was learned from this deployment and what further plans do you have for refining and testing the concept? The deployment is ongoing and we are still assessing the lessons learned. We certainly are in the process of learning about operations in the western pacific and what it means for distributed lethality and sea control. The thing I keep in mind is that when you have the opportunity to combine the lethality of three ships operating in a surface action group, the whole becomes much greater than the sum of the parts. As we look to send a PACSAG across the ocean, how do we think differently about the command and control of those ships and the utilization of their capabilities? What do we project for future surface action groups? One of the things we are looking into is what we refer to as an upgunned ESG, which is taking a surface action group and putting it under the tactical control of an Expeditionary Strike Group that is operating forward, perhaps one with joint strike fighters. How does that tool look in the commander’s toolbox and how can we utilize that? There are a lot of opportunities to learn from the PACSAG. But as we deploy our forces, can we think differently about our independent deployers and moving them into surface action groups, providing them with a command element, and then issuing specific tasking or things to learn about how to operate those ships in a group. I think this holds great promise for the future. What institutions are playing a key role in the development of distributed lethality and how are they contributing? There’s a lot going on across the force. It comes back to Tactics, Talent, Training, and Tools. The Naval Surface and Mine Warfare Development Center (SMWDC) plays a big role in a lot of things we are working on. They are singled up on not only our tactics, but our training and talent as well with some influence in our tools piece, but really those three areas. On the training side of the house, I would also say the numbered fleets and certainly the Afloat Training Groups are helping with their ability to get the ships trained up. Other folks that are contributing significantly to the development of our tactics are the numbered fleets with the large exercises we are executing such as RIMPAC. On the talent side of the house, in addition to SMWDC and the warfare tactics instructors they are developing, we are working closely with PERS41 in order to make sure from a leadership perspective that we are taking care of and properly progressing the young men and women that are coming into the surface force. Finally, the OPNAV staff N96 and the requirements and resource folks working for RADM Boxall, Naval Research Labs, NAVSEA, and NAVAIR are contributing greatly to the “tools” concept. With respect to the analysis we are executing, there are several significant organizations within the Naval Postgraduate School and the Naval War College that are helping us. How do communities outside of the surface warfare enterprise such as submarines, aviation, information warfare, and others fit into distributed lethality? The term was kind of born with the surface force and in some of the conversations we were having back in Washington D.C. when I was working the resource side for the CNO. The concepts applied not only to other communities but across the naval force and the joint force. Truth be told we are already moving in this direction. The retirement of the SSGNs led the submariners to develop the Virginia payload module, and I think it is going to be a significant asset as we bring it online. The networking capabilities of the F35 creates airborne distributed target networks, and with the F35B coming to our bigdeck amphibs, that’s a tremendous asset we can leverage for sea control and also bring the Marine Corps in on executing the sea control mission. We certainly are hearing more and more about operating in a more distributed manner with it being referred to as “distributed maritime operations,” which I think is an offshoot of the concept and organizing principle of distributed lethality. I think it stretches across the fleet and the joint force as well. CIMSEC has launched several topic weeks on distributed lethality, and two in partnership with the Distributed Lethality Task Force. How have these writings contributed to the concept’s development? 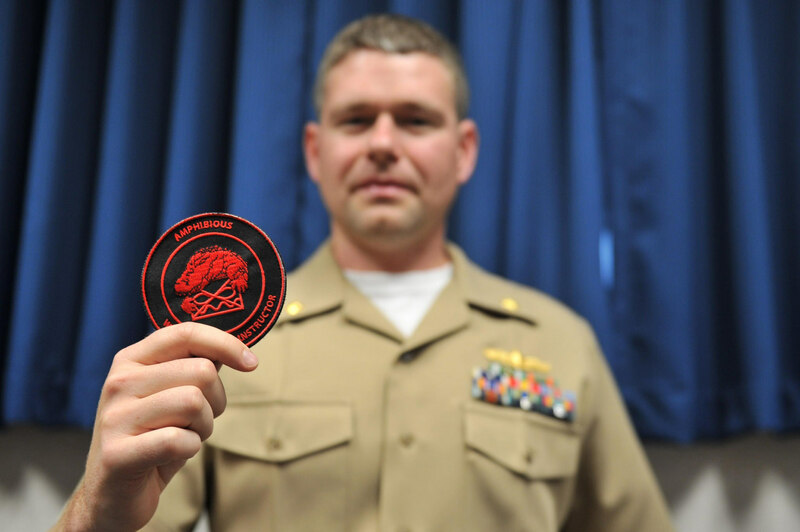 We really appreciate all of CIMSEC’s efforts to raise awareness on distributed lethality and to encourage a broad spectrum of people to think about how best to improve our Navy. I think that’s critically important. It is also important to think about how we advance the distributed lethality concept from the conceptual phase into the operational phase. I think the intellectual opportunities CIMSEC provides for a larger group of thinkers is vital, and especially for our junior officers. The JOs I get to interact with on the waterfront– what a talented and excited group of young folks. Any opportunity that we can take to leverage their thoughts, enthusiasm, and professionalism seriously raises the level of discourse and can only add to the discussion. Where we are deriving a ton of benefit is from thinking about some of the enablers for distributed lethality. Command and Control, electronic warfare, cryptologic operations, and unmanned vehicle integration are things that are not necessarily touched by surface warfare, but we have the opportunity to reach across a broader spectrum and bring them in. I think that’s vital, and I appreciate CIMSEC’s efforts there. Distributed lethality is not just about offensive weapons. It is about presenting an adversary with a difficult set of operational problems. Our robust C2, the facets of electronic maneuver warfare, distributed agile logistics, all of that is necessary. All of that has been featured in your forums, and that’s really important for us. Glad to hear it, sir, thank you. Many have raised the point that more authority should be delegated to more junior commanders in order to truly enable distributed lethality. What is your vision for the command and control of a distributed force? I envision a scalable C2 structure, and starting with a theoretical limit of perfect sensing and perfect networking. A fleet maritime operations center is capable of centralized planning and decentralized executing of fleet operations, which certainly we’ve seen before. On the other end of the scale, I see distributed operations in a mission command, comms-denied environment. One in which our commanding officers have already practiced, and where they feel confident in the employment of their weapons systems in the pursuit of the last order they received from their commander, all the while exercising the initiative required to exploit the tactical advantage wherever it is presented. That’s really what it is all about. A week and a half ago you spoke at the USS Zumwalt commissioning ceremony, and in your remarks you stated “She builds upon more than two centuries of fighting spirit and innovation.” What will be your immediate priorities for the Zumwalt when she arrives in San Diego, and what does the Zumwalt tell us about the future of the surface navy? I often think about what an exciting time it is not only to be a part of our Navy, but especially a part of our surface navy. We’ve got new ships, new classes of ships, and new concepts. We are working hard to recruit and retain the most talented men and women this nation has to offer, and we are working hard to improve our tactics, our training, and our procedures. With that as a backdrop, we are really looking forward to getting her out here. We’ve got to get her through post delivery availability, through combat systems activation and testing, and to an initial operational capability. The priority is to do everything I can to give Captain Kirk the time to train his crew across the broad spectrum with which we will be able to apply this ship. For the future of our Navy, I think Zumwalt points to some very meaningful directions. The first I think of is stealth. We specifically designed that ship to significantly reduce its radar cross-section. How can we utilize that in future operations, how we can think differently about the utility of the ship in those operations, and how might we take that knowledge and leverage that into future ship classes that we build? On size, she is certainly larger than a DDG, but with that increased size comes increased opportunity. Just look at the vertical launch system alone. She has the ability to take much larger missiles into her MK57 VLS than we have in the MK41 VLS. Her computing power, firepower, that huge flight deck, the new undersea warfare systems, we are going to leverage all of that. The power that ship generates — 78 megawatts of power — is more power than we have generated on any other surface ship. How do we utilize and leverage that power for future weapons systems, perhaps directed energy or railguns? From the computing perspective we are looking to understand the ship’s total computing environment and how that impacts our ability to fight the ship. On the survivability piece, she has something called integrated fight-through power, which allows the ship to stay up and operational even if she sustains battle damage. Those are some of the things that we have put on the ship, and we are gonna get her out, get her operating, get her in the hands of the sailors and Captain Kirk, and have them come back and tell us how we can leverage all of these capabilities to the maximum benefit of the fleet going forward. I see excitement in the fleet on a daily basis. 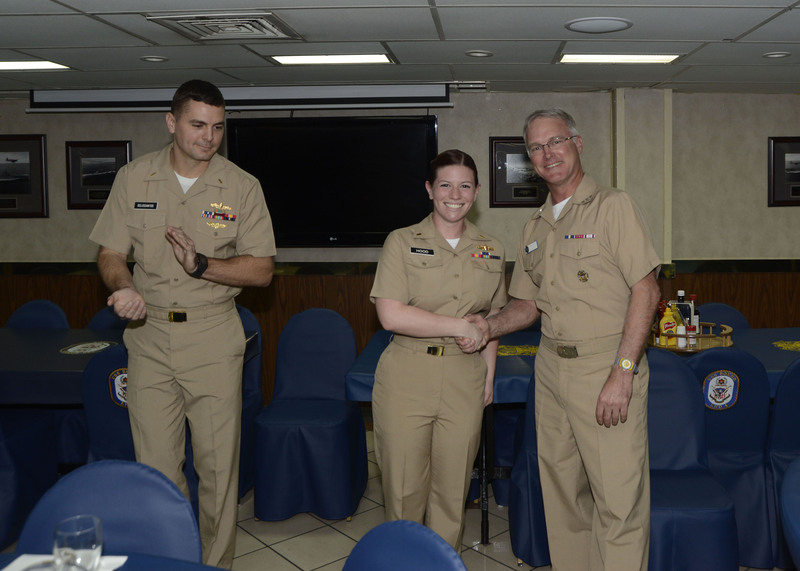 I have the great privilege of being able to go out and spend time on our ships and spend time with our sailors. I was recently on the Makin Island for the penning of the new Chief Petty Officers. There’s a lot of excitement, professionalism, and enthusiasm out there. Not that we haven’t had all of those in the past, but I’ve got to tell you, when I go on board the ships today it is palpable. I think it is a great time to be serving our country and a great time to be serving on our surface ships. I could not be prouder of all the young men and women that are serving on our ships and all the great folks on the acquisition side, requirements side, and support side that are making these ships great. We will continue to do the best we can for them, and I know they will continue to do their best for us back here at home. Vice Admiral Thomas S. Rowden is Commander, Naval Surface Forces. A native of Washington, D.C., and a 1982 graduate of the United States Naval Academy, VADM Rowden has served in a diverse range of sea and shore assignments. The reference to commanding officers executing based “on the last order received from their commander” suggests total communications denial, not only for commands but, by extension, also total denial of external ISR and targeting support. One would hope the Navy is taking full advantage of broadcast systems such as IBS and GBS as paths for assured delivery when network communications are interrupted or mission commanders are operating in EMCON.